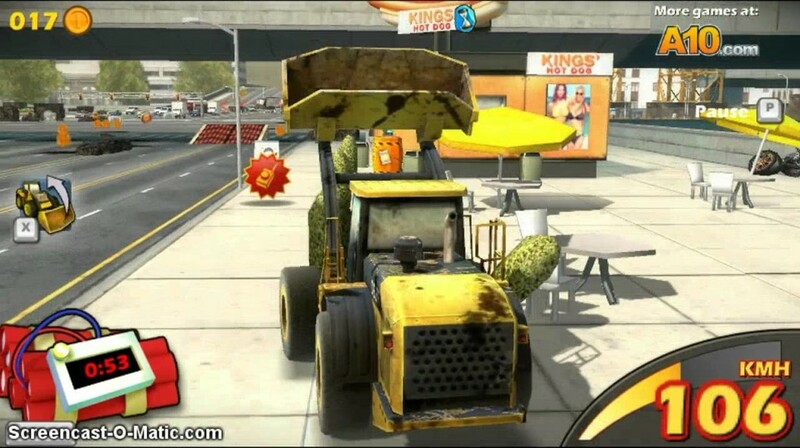 Bring chaos to the streets as you drive an indestructible car that will destroy everything on its path. Turn the peaceful roads in to a destructive nightmare as you crash in to the cars and buses in the streets, take advantage of a traffic jam by driving through it and destroying everything on the way. 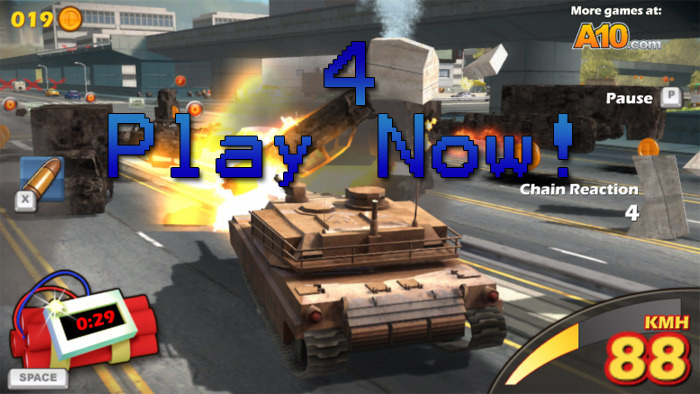 Play the intense explosive and action packed driving game once more in Traffic Slam 4. This time, everything is more intense as you play with the best cars and produce some of the largest explosions in the game. Play with more items and upgrade your vehicles to increase the chance of bringing more chaos. Whether you loathe a car on the street or you just wish to bring destruction in to the city, Traffic Slam 4 lets you do it all, giving you more capabilities and lesser boundaries. Like the previous part, you will be provided with a detonator which detonates as time runs out and it can also be detonated on purpose before the time runs out. 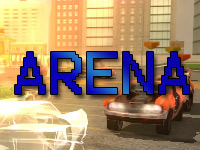 Start off and accelerate until you reach the top speed and destroy everything on your way while earning points. Go wild, as you don’t have to worry about getting in jail for destroying private property, but beware as you must avoid getting yourself in the water or damaging your car without damaging other cars as it can give you no scores. 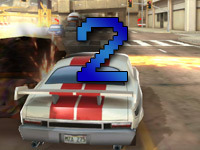 Traffic Slam 4 has a unique scoring style, which is different but similar to the other parts. As you destroy your way through, your scores increases, and crashing in to a car or bus in style gives you even more score. Be sure to produce combos and stay in a streak for as long as possible to gain more scores. 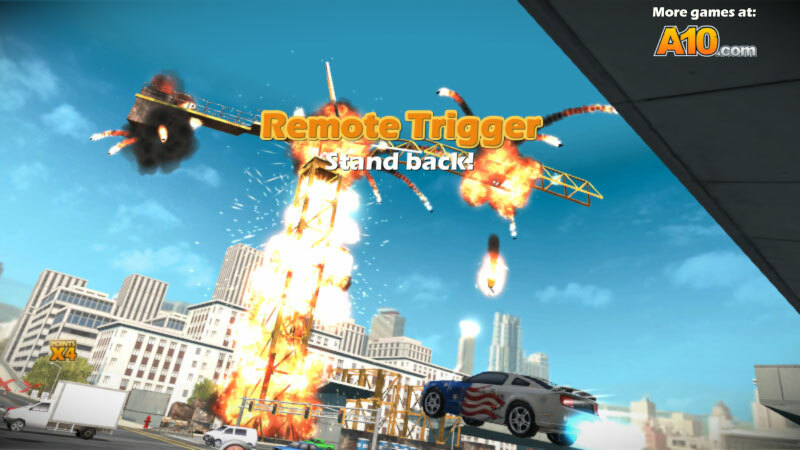 Earn more bonuses as you collect the cash bonus and produce stunts as you fly off with your car in mid-air. 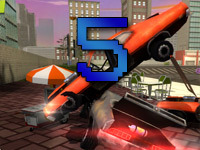 In Traffic Slam 4 you also receive guns that can be attached to the car and used to blow up cars from a distance, the more accurate the shot, the higher the score will be. Earn score to get upgrades available in the store and use them to make your car a lethal killing machine. Traffic Slam 4 has some exciting new bonus features, which was never before offered in the game. 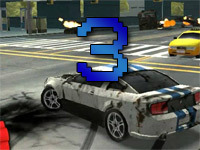 With these new features provided in the game your car is capable of much more destruction. 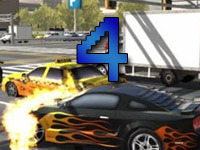 In Traffic Slam 4, a selection of stage is provided, you can choose to play different stages which have different environment and requires different skill to play in. 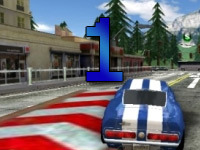 The game includes a wide variety of vehiclesto choose from, each car has unique specialty which can be used in different situations and stages to increase your chances of gaining a better score. As they can be used in different stages according to their ability, for example – using a light car to execute more stunts in stages where there are loads of ramps and gaps. Traffic Slam 4 gives you the ability to set up guns in your car, these are available in the shop to upgrade and when upgraded to its maximum it can be quite deadly and powerful.